Still working through a study of Daniel Chapter 9, focusing this week specifically on the 70 weeks prophecy. Note: These presentations are primarily meant to serve in the teaching and edification of those who are in attendance at the Orangeburg church of Christ each Wednesday Night at 7 p.m. Those classes are recorded and then made available in the form of this podcast, but, the quality of the recording may not be up to the same level as other podcasts which are recorded with that primary purpose in mind. This sermon (adapted from material posted by Bro. Serge Shoemaker in the Pulpit Preview group on Facebook) was the lesson for Sunday Morning, 3/27/16. With so many in the world thinking specifically about the resurrection of Christ on Easter Sunday, it is important that we also take time to consider the implications of that most awesome of events in history. Note: These presentations are primarily meant to serve in the teaching and edification of those who are in attendance at the Orangeburg church of Christ each Sunday morning at 10 a.m. Those classes are recorded and then made available in the form of this podcast, but, the quality of the recording may not be up to the same level as other podcasts which are recorded with that primary purpose in mind. Continuation of our study in Daniel, focusing on Daniel 9:20-27. Bible Study from 3/16/16 at the Orangeburg Church of Christ, examining Daniel’s prayer in Daniel 9. Sermon from Sunday evening, 3/13/16 at the Orangeburg Church of Christ. Sermon from Sunday morning, 3/13/2016 at the Orangeburg church of Christ. Bro Kipton Garrett, elder for the Orangeburg Church of Christ, presents this second and final lesson on the Old Testament book of Haggai. A short devotional dealing with the passage about the “deeds of the flesh” and the “fruit of the Spirit” in Gal. 5:19-24. This short lesson was based on material made available via the “Voices from the Past” podcast from Sain Publications. 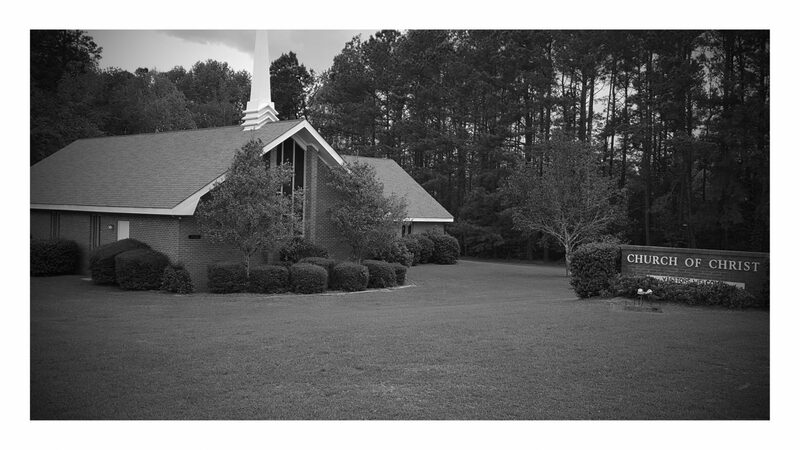 Note: These sermons are presented with the intention of instructing and edifying those who are in attendance at the Orangeburg church of Christ. Therefore, the audio quality of these recordings may not be on the same level as a recording that was originally intended to be presented as a podcast. Many living in the world today would like to believe that one religion or one church is just as good as another, that all are teaching essentially the same thing, and that all will lead to the same place. But there are several tests we can put such claims to in order to find out if such is true. The “one is as good as another” philosophy does not pass the “logic test,” the “Scripture test” and it does not adhere to the command to the Apostles to “teach to observe all things that Jesus had commanded” (Mt. 28:19). Thanks to Allen Webster for detailing many of these things in a Bible tract of the same title.